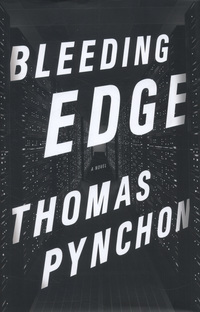 US author Thomas Pynchon has been nominated for Bleeding Edge in the science fiction prize the Kitschies. The Kitschies’ Red Tentacle award is given for the year’s “most progressive, intelligent and entertaining” novel containing elements of the “speculative or fantastic”. Pynchon is quite reclusive but the organisers are hoping a stuffed tentacle and a prize of £2000 plus a bottle of Kraken rum will lure him out for the award ceremony. Rivals for the award include poet Anne Carson and crossover novelist Patrick Ness – it is a very varied shortlist! A Tale for the Time Being, by Booker-shortlisted Ruth Ozeki makes the shortlist with an exploration on the nature of time. Carnegie medal-winning Patrick Ness is nominated for More Than This, which takes place in the afterlife of a teenager trapped in a deserted world. Then there is James Smythe’s The Machine, a dystopian novel where memories can be recorded by a machine. Mr Penumbra’s 24-Hour Bookstore by Robin Sloan for the Golden Tentacle for a debut novel. Nick Harkaway won the Red Tentacle last year for Angelmaker. This entry was posted in Books and tagged Kitschies, Red tentacle. Bookmark the permalink. Vote for Leeds author Daniel S. Fletcher’s debut “Jackboot Britain” for the 2014 Kitschies!